Given The Crafty Pint was founded by someone born in Burton-upon-Trent, home of the English pale ale and source of the brewing term “Burtonisation", there's an undeniable soft spot for ales from that part of the world at Crafty Towers. They may be as trendy as the proverbial sandal-and-socks combo, what with pretty much all British styles having undergone a supercharged American work over in recent times, but there remains much joy to be found in a well made pint of bitter. For the latest Crafty Pint Blind Tasting, we took a trip back to the mother country and lined up a range of beers that could be loosely bracketed under the English Ales header: bitters / English pale ales; ESBs; and IPAs. Our resident scholar did his bit and gave us the lowdown on them in one of his typically entertaining features we published yesterday. And we did our bit by getting together a collection of brewers and industry experts for the tasting itself, which took place on the brewery floor at Temple. It was a tasting that was rather larger in number than we'd expected when we decided to make such beers the focus for the tasting. In the end, 24 were lined up – 20 locals and four English imports – as we discovered there are rather more bitters, ESBs and English IPAs in bottle over here than one might guess. Where possible, they were bought from retail outlets rather than sent by breweries to reflect what punters will pick up to drink at home. There were a couple (Morrison English Bitter and Redoak Bitter) we requested without luck while Prancing Pony's Copper Ale turned up a day late so the list isn't totally comprehensive but we feel there's a pretty good coverage of what's coming out of Aussie breweries – big and small. For the most part, it was run as before, with AIBA steward (and now associate judge) Pete “Prof Pilsner" Mitcham presenting the beers and scores out of five for appearance, aroma and flavour, all of which were judged according to style guidelines. There was also an overall score out of 10 in which we allow judges to reflect on whether the beer is a good beer, regardless of its adherence to style, as, at the end of the day, we all love a good beer. This allowance worked well for a couple of the beers, such as Hargreaves Hill's ESB, which was a fine beer marked down for its overt New Worldliness. There were a couple of wee differences from past tastings too. We included a couple of different ages of the same beer twice, including Van Dieman's Little Hell, which we hadn't realised was no longer brewed. That's why there's an asterisk against those as they are both from cellar stock well outside their best before date. What their place in the tasting shows is the importance of getting your hands on most beers as fresh as possible. Thanks to brewer Will for digging them out so we could see how old beers would fare. As seems to happen with some regularity in these tastings, the originals often remain the ones to which others can aspire. Like Courage Imperial Russian Stout or Saison Dupont before them in their respective tastings, beers from the country of origin fared well with only one Aussie breaking into the top five. Unfortunately, despite hunting around quite a few stores, we were unable to obtain two classics – Fuller's ESB and Bengal Lancer – but the English that were on the list performed well in their absence. The scores, as a whole, were generally of a higher standard than most tastings, perhaps down in part to the fact these beers don't fade as noticeably as, say, highly hopped pales, New World IPAs or golden ales. Indeed, a mere 1.125 points out of 25 separated 8th and 15th – less than the difference between 1st and 2nd. Given the three broad categories within the tasting, the results are presented below as the top 12 overall and then in full as bitters / English pale ales, ESBs and IPAs. Interestingly, the bitters performed noticeably better of the three groups, claiming seven of the top 12 spots. 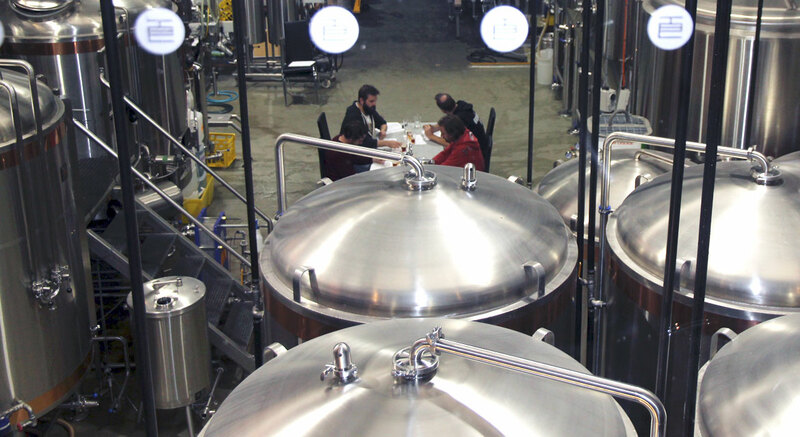 NB We provide tasting note feedback to the Australian brewers whose beers feature.